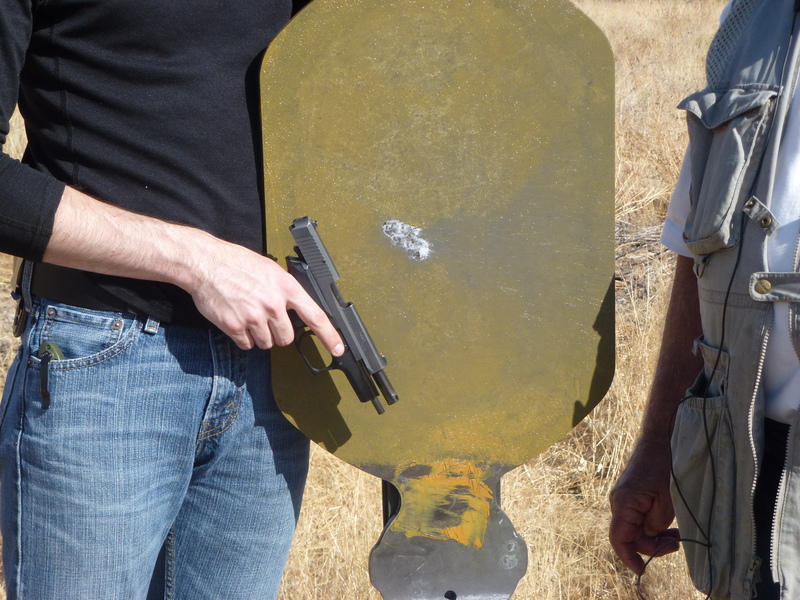 It's critical that you become proficient with your firearm of choice if you have decided to carry. The draw. The grip. Acquisition of the target. Accuracy in firing your weapon if it becomes absolutely necessary. But just as important – perhaps more so – is the cluster of tactics that surround and permeate the act of drawing down on someone in the first place. No matter how “righteous” a shooting in which you became involved, no matter that you were not charged with a crime for having discharged a weapon; no matter that you “won” the engagement and walked away unscathed – there are still consequences for having done so. The trauma of having taken a life. The “Mark of Cain” that others may judge you by. Perhaps even a chain of events whereby relatives or friends of the person you had to draw down on have decided to even the score by taking you out – or heaven forbid – a family member. This is not to say that when you have determined – beyond a reasonable doubt – that you must draw and perhaps discharge your firearm in order to protect yourself or someone in your care from the unavoidable danger of grave bodily harm or death – that you should hesitate for even one second in doing so. However, the best way to “win” a gunfight is to have sidestepped it altogether. Seek to “defeat his strategy”. Ideally your awareness is such that you have avoided walking into a situation where the use of deadly force might even have to be considered. But there will be times when you aren't paying attention, where you didn't pick up on the subtle cues that are almost always present, or where something just happens “out of nowhere”. Maybe you weren't looking for trouble, but on that day “trouble came looking for you”. I remember many years ago when first studying in Professor Bradley Steiner's martial arts system of Jen Do Tao – American Combato – (having first taken private lessons from him in point shooting) and hearing him say frequently in class, “If you took a lot of sh.. before you came here, now you're going to learn how to take buckets of it.” Strange how over time, you get to the place where hearing a character on the street say “Your wife looks like a sweat hog!” Or, “Get out of my way, moron!” doesn't seem to have the effect on your heart rate that it used to. Bump into someone accidentally and they start swearing at you and lobbing a pair of middle fingers your way? Respond sincerely with “I'm so sorry.” (In Spanish, it would be Lo siento mucho.) Or, “I'm very sorry, I just had heart surgery” as you grasp your chest.